Purple Class have been learning about the different types of animals that we might find on a farm. We have been reading the Old MacDonald story to help the children with their animal knowledge. Each week we have been focusing upon a different type of farmyard animal. 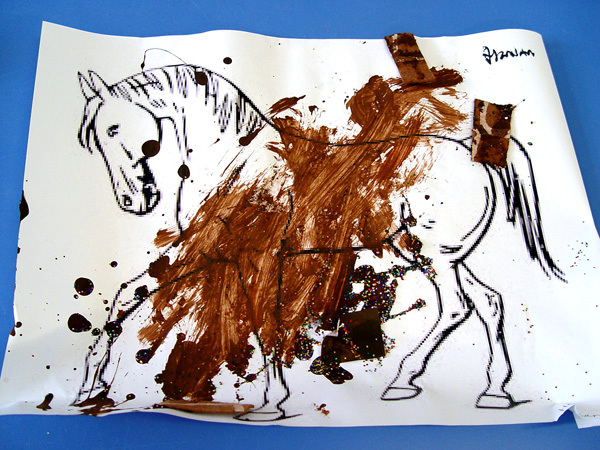 Having finished our study of sheep, the Purple Class children are now looking at horses. Of particular interest to us are the way that each animal looks, and the distinct sound that it makes. The children have been busy making some horse collages to compliment the lovely sheep display that is currently in our class. We used this exercise to help the Purple Class pupils continue with their individual communication skills and request. All of the children feel confident in using Communication in Print to ask an adult for any personal help that they might need. We are now extending this use of CiP in a learning environment. If a class member wanted a resource for their artwork, we encouraged and praised when a pupil made this request. 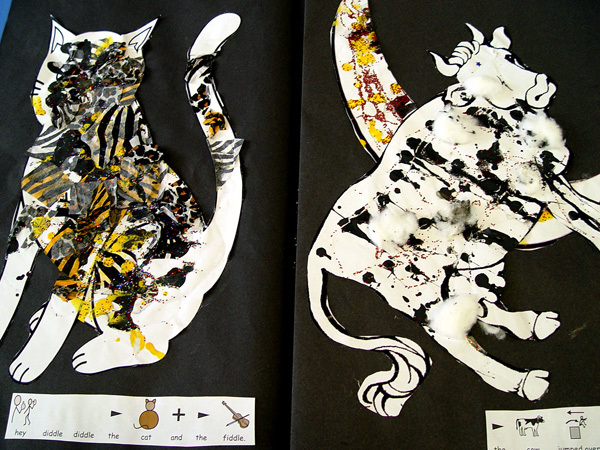 The resources that have been used on our animal collages are very much texture based. This also helps the children to gain a better sensory understanding. 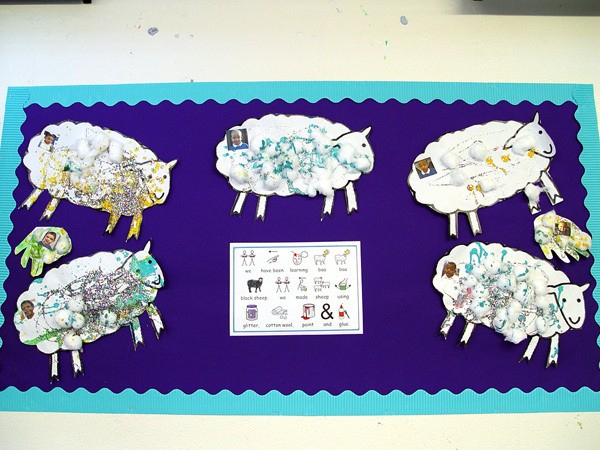 As well as the classroom wall display, our pictures will also be used to help complete the farmyard animals book that each class member is making. 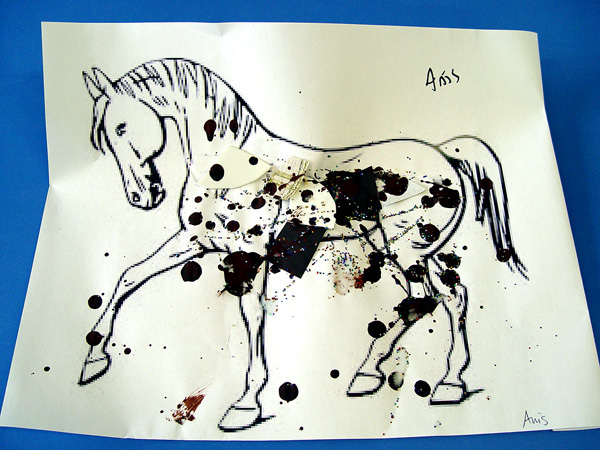 This is a large piece of work that will also contain written rhymes for each animal. We want each Purple Class member to feel proud of their work, and to use their book when working one on one with adults on their phonics learning.